Comes again one of the most famous mods, this time for the current version of Minecraft. 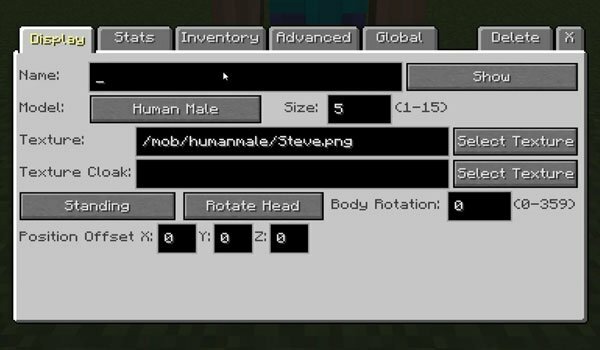 Custom NPCs 1.12.2 and 1.11.2 is a mod that lets you create your own NPC or monsters. In addition, you can customize their physical appearance, their dialogues, change your gear, your skin or clothing, missions, actions, and even rename craftings, since you have a huge arsenal with a variety of materials and applications. You also could provide functions or roles. How to install Custom NPCs Mod for Minecraft 1.12.2 and 1.11.2? Have fun with your new friends!